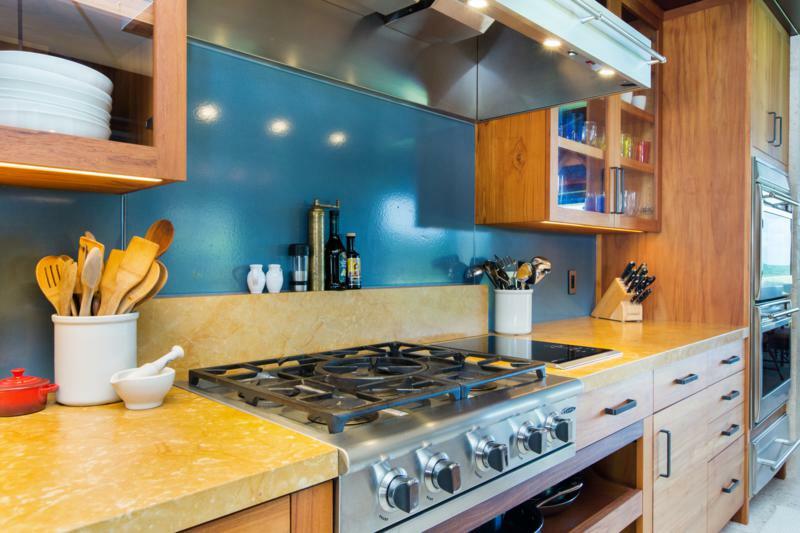 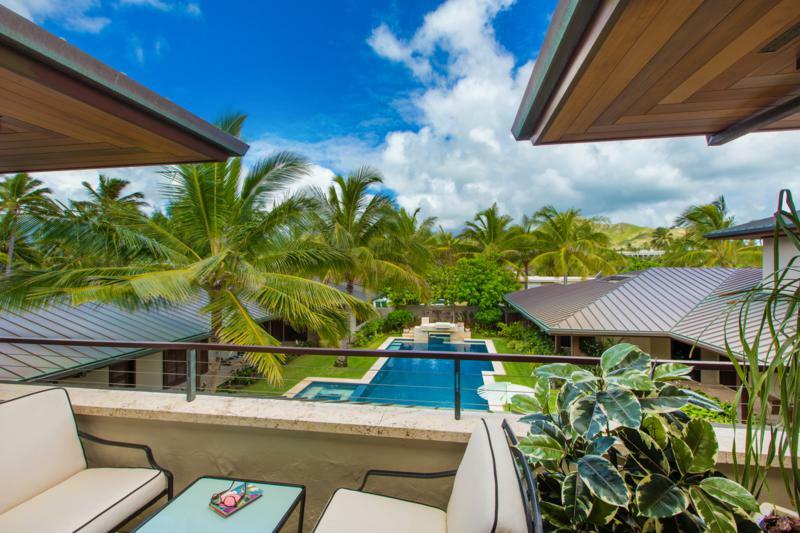 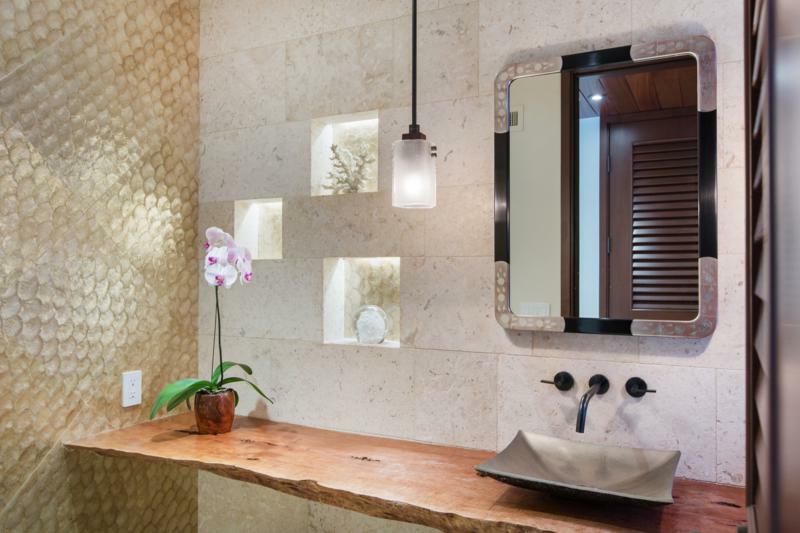 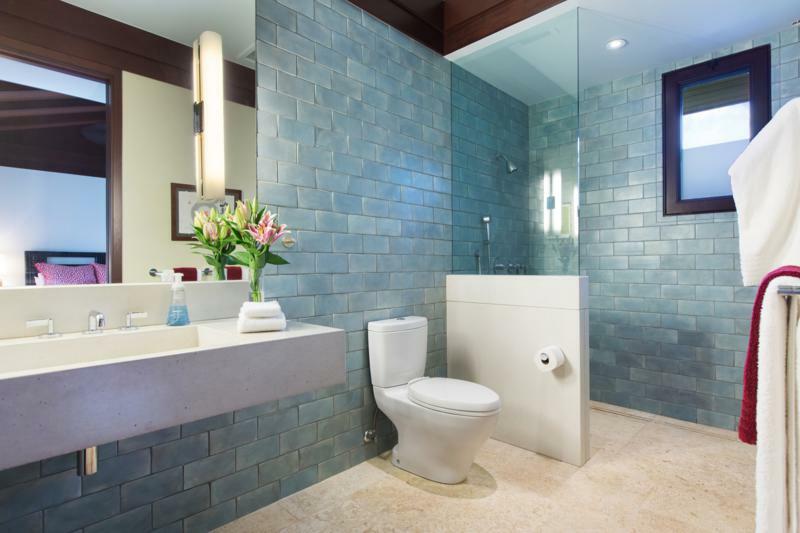 Essence of Kailua – Luxury Vacation Homes, Inc. 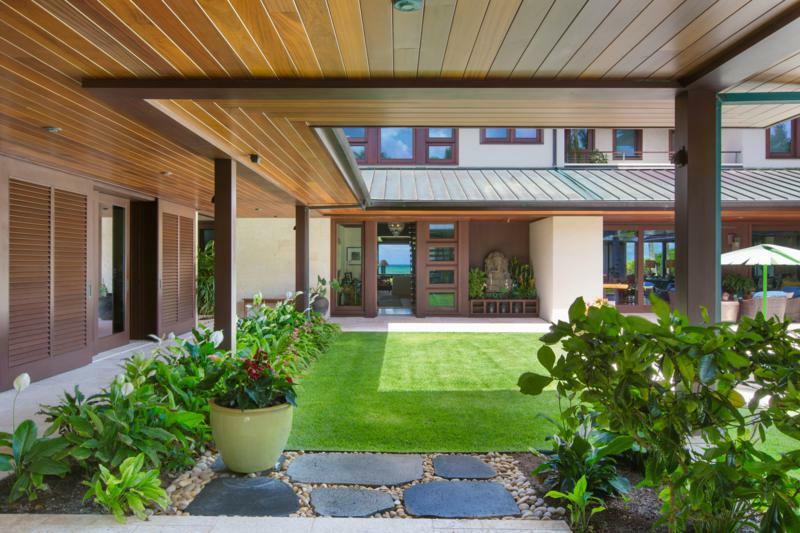 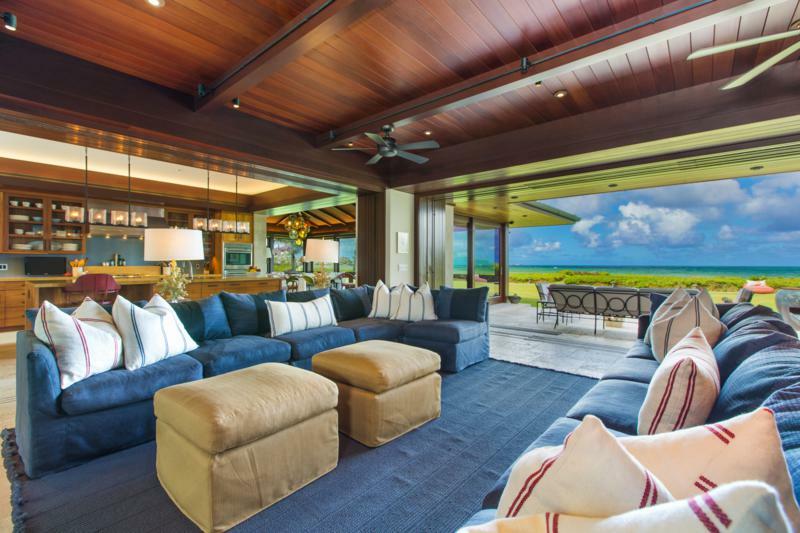 The Essence of Kailua is an estate built to embody the essence of luxury Kailua Beach living. 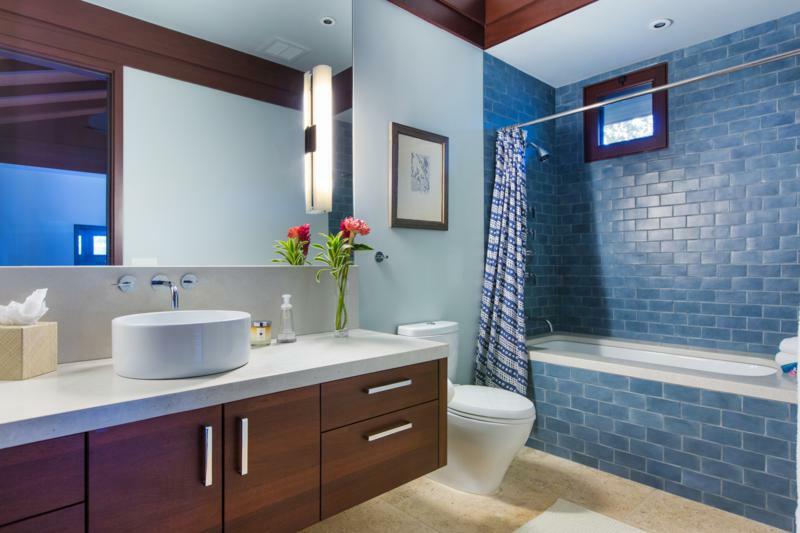 Bringing in the elements of the ocean, bold colors bounce off soft hues and simplicity offers a space where natural beauty can be enjoyed. 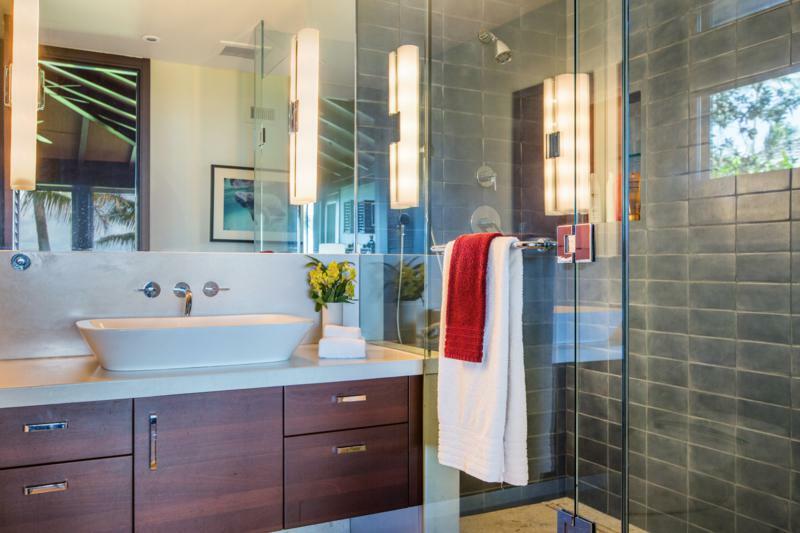 Built with intention, it’s new construction boasts all the efficiencies of the world’s leading “Smart Home” and is recognized by the Green Building Council as a LEED Gold Certified Home. 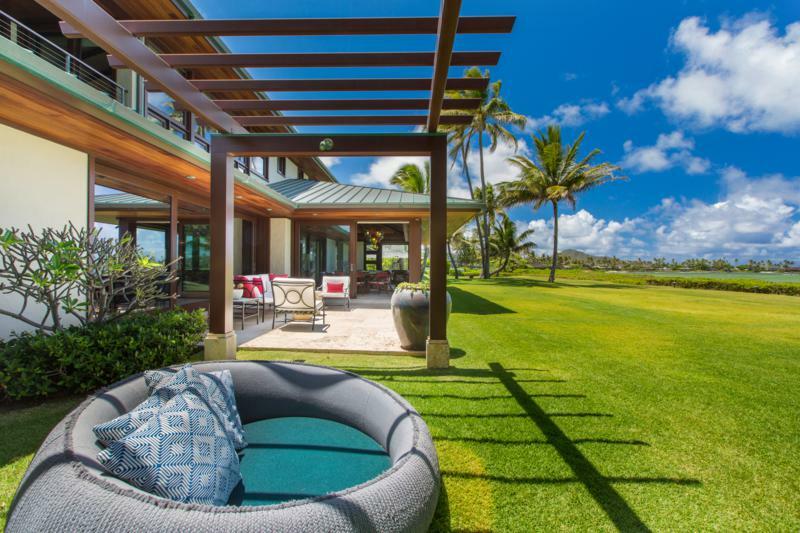 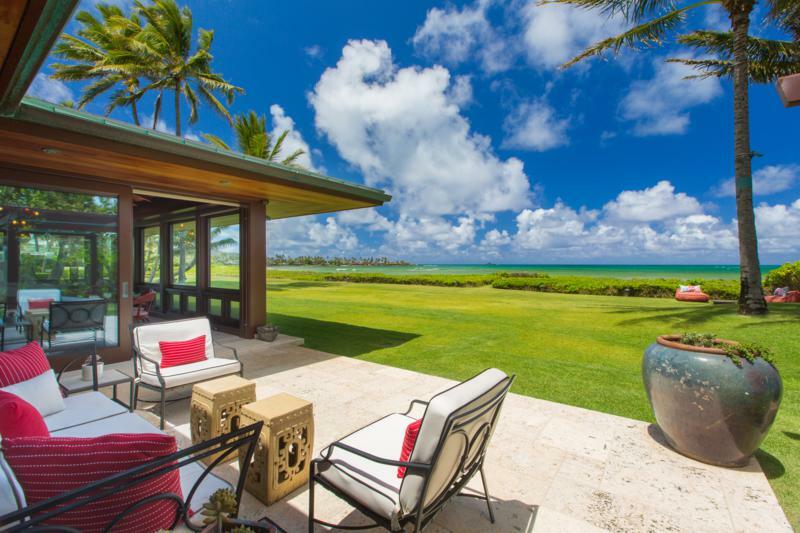 It is the thoughtful design coupled with the inherent natural beauty of Kailua Beach that makes Castle Point Estate one of Oahu’s premier luxury beach estates. 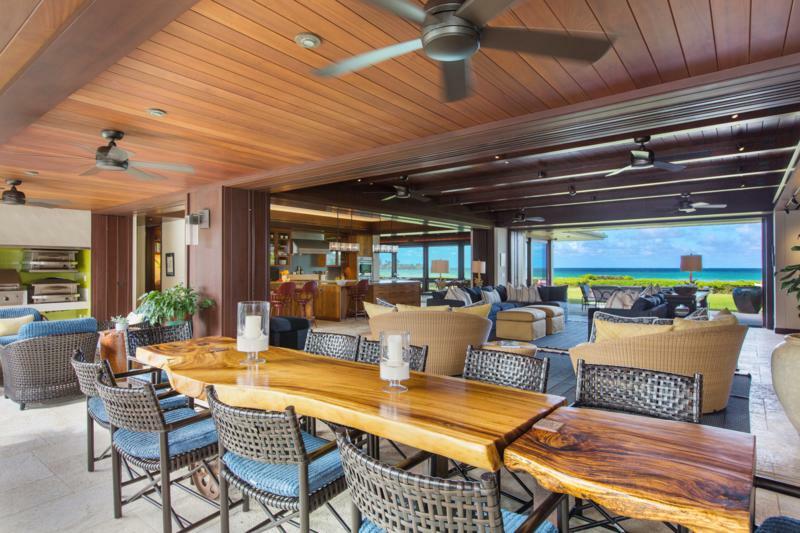 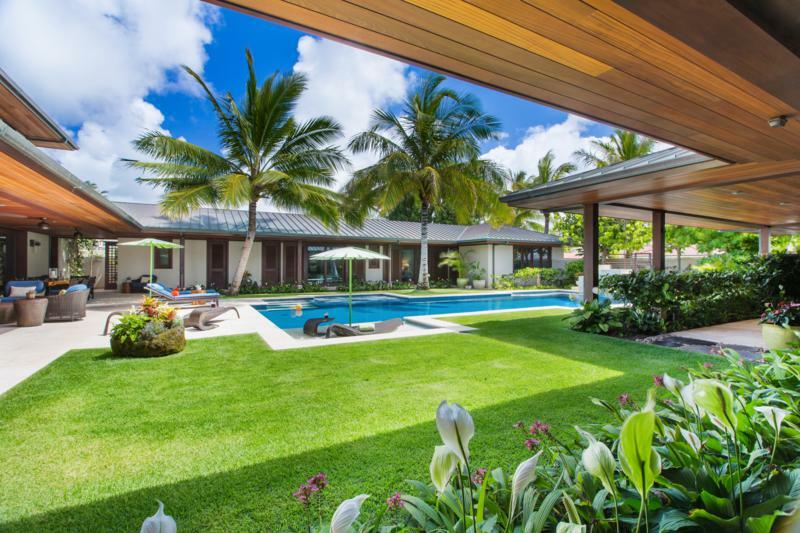 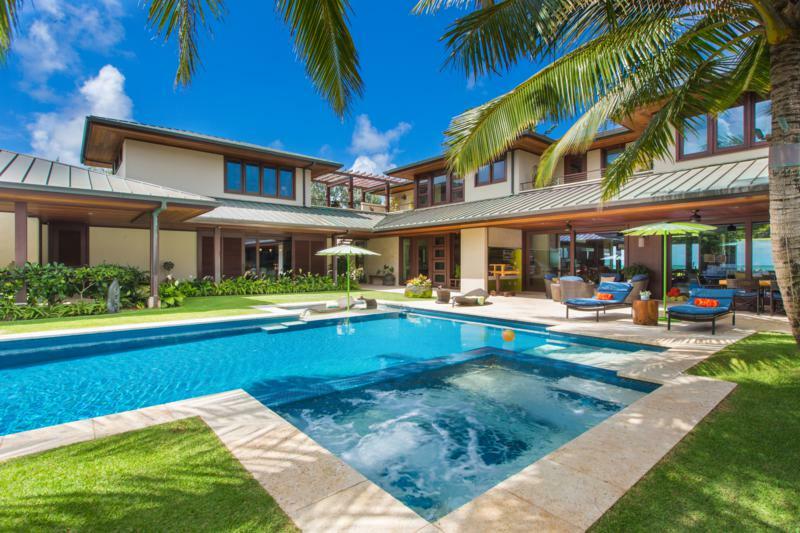 Set on an over-sized beachfront lot, Essence of Kailua offers 125 linear feet of beach frontage and over 10,500 sq ft of interior space centered around a private courtyard. 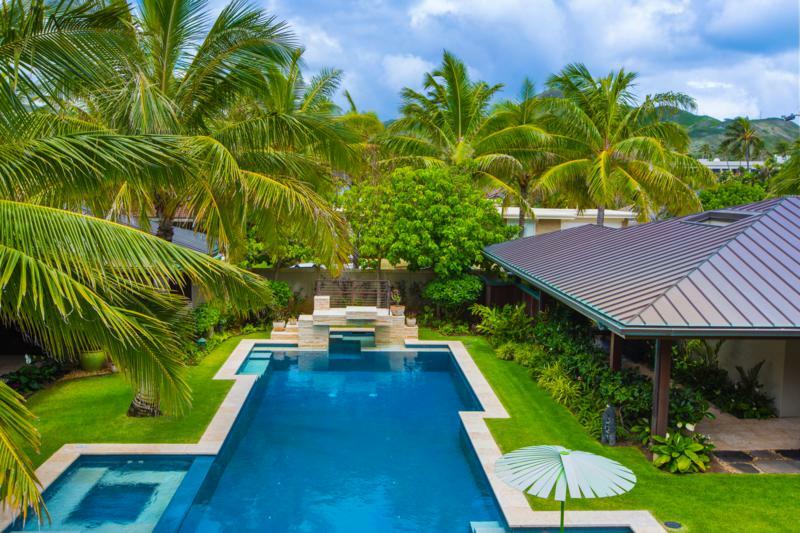 The courtyard is lush and tropical with a hotel-style pool, diving platform, grotto, spa, and shaded lounge areas. 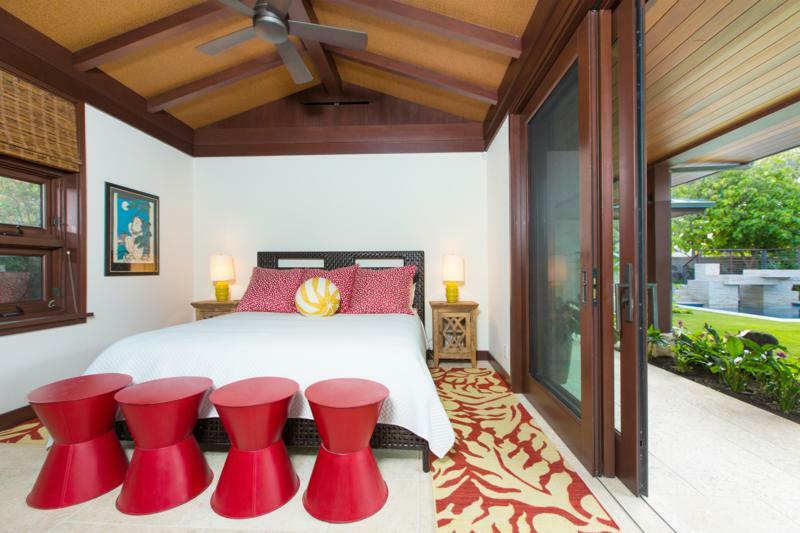 Beneath the covered lanais you will find outdoor dining for 10, a bbq area with 2 pizza ovens and entrances to the 3 guest suites. 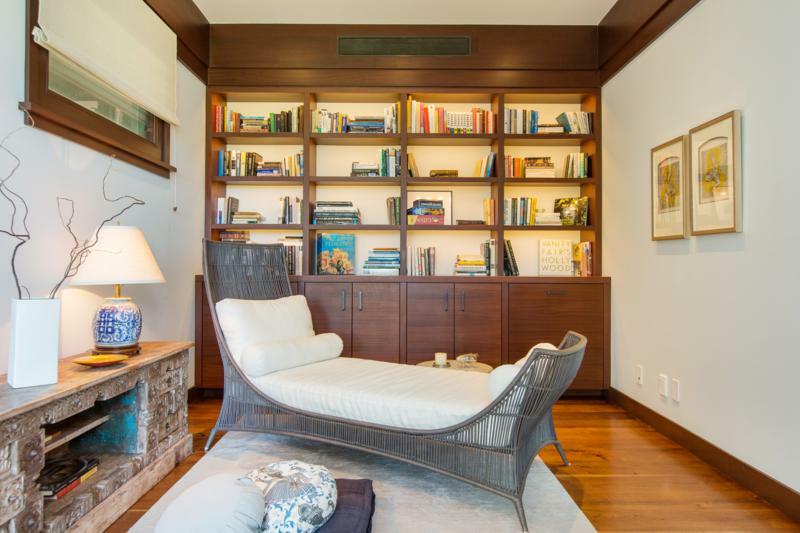 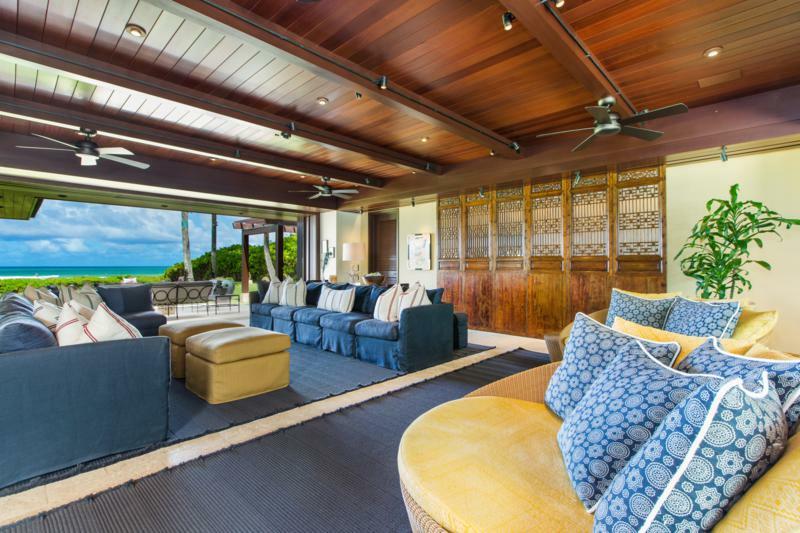 The home’s interior, though large and spacious, provides a sense of intimate luxury. 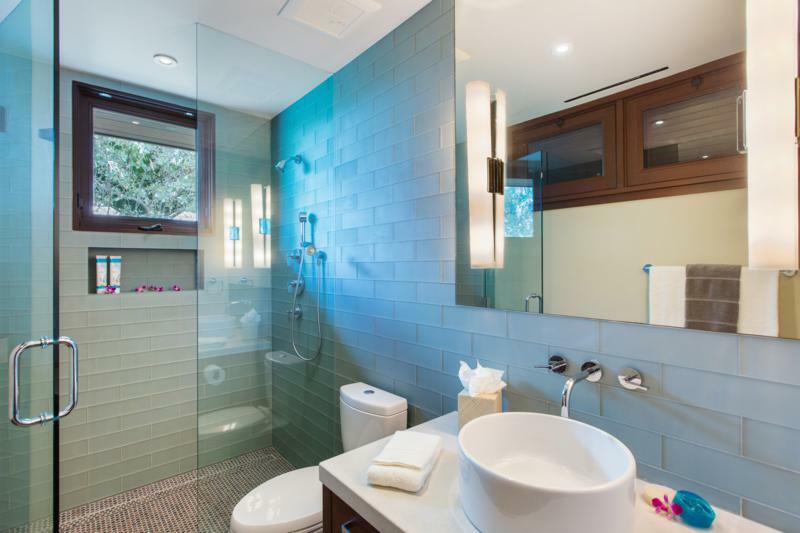 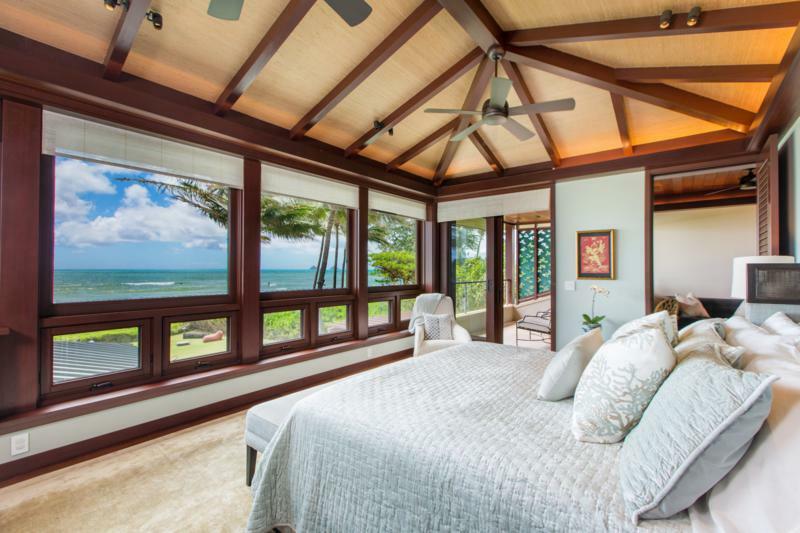 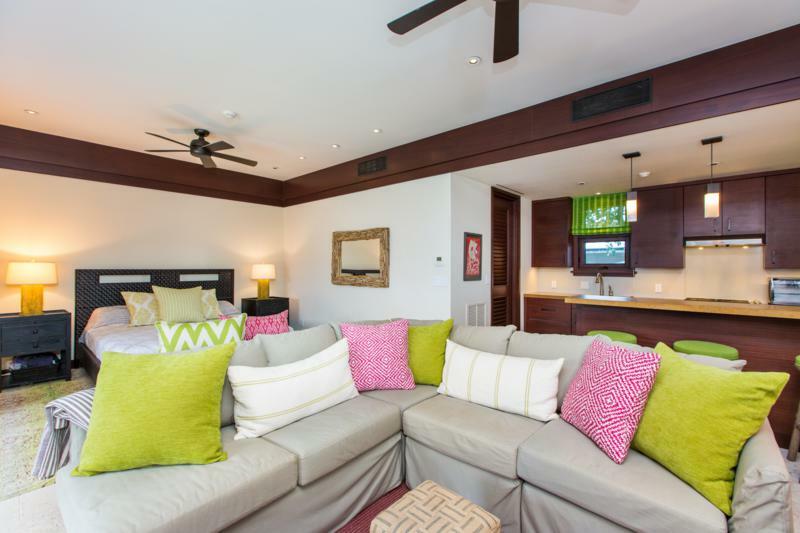 The stunning master suite offers sweeping views of Kailua Bay with both beachside and poolside lanais, a sitting room, walk-in closet and his and her ensuite bathrooms. 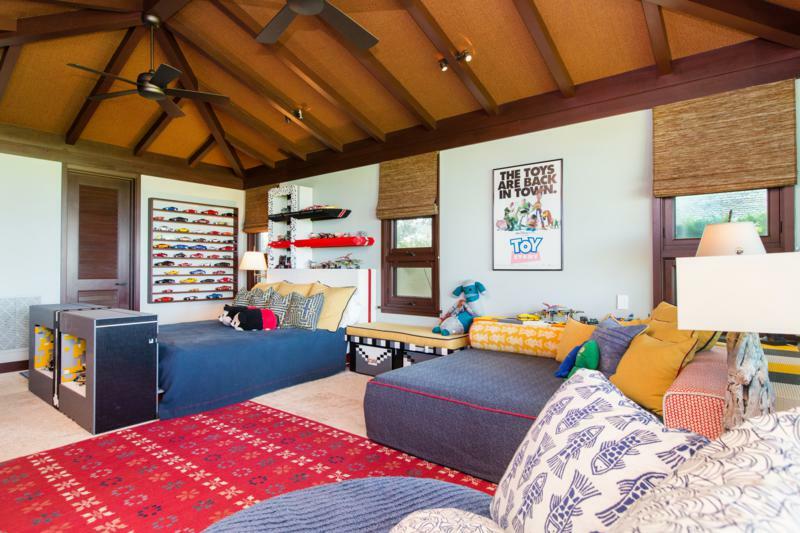 A second upstairs bedroom affords equally stunning ocean views and the downstairs “Lego Room” has been custom built and outfitted to entertain the imaginations of both adults and children alike. 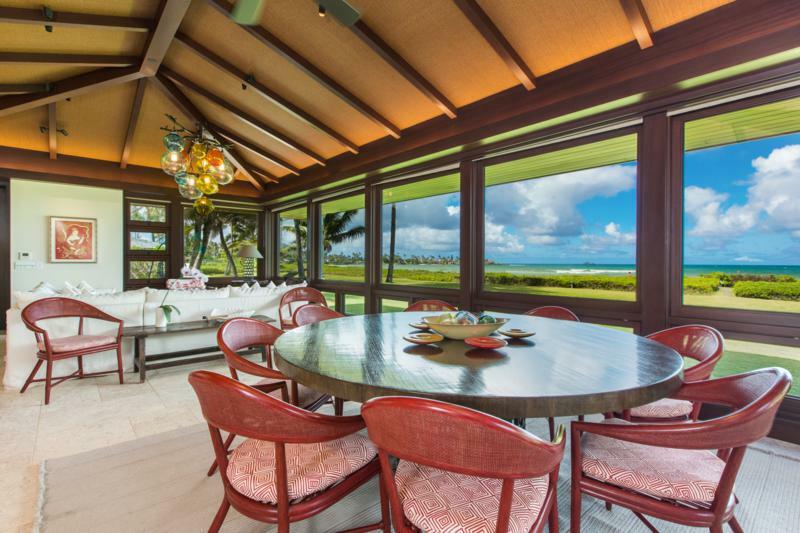 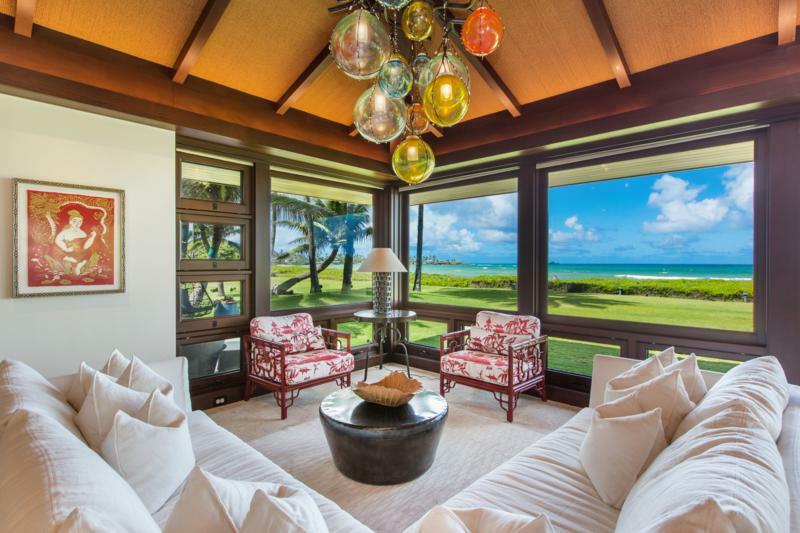 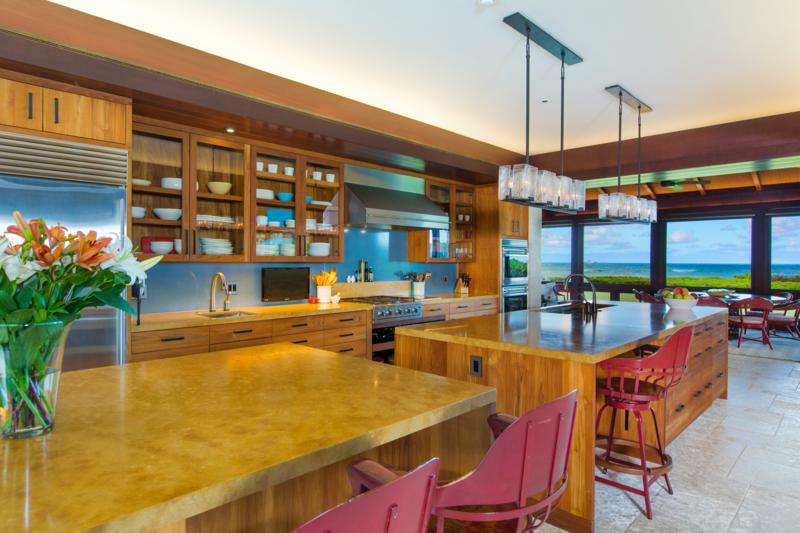 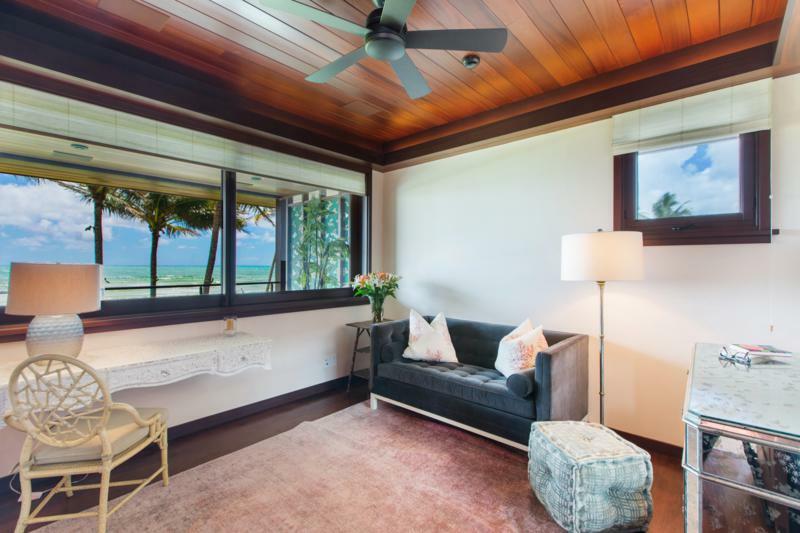 True to the traditional Hawaiian beach house, walls are replaced with sliding glass doors that pocket allowing the breeze to flow through. 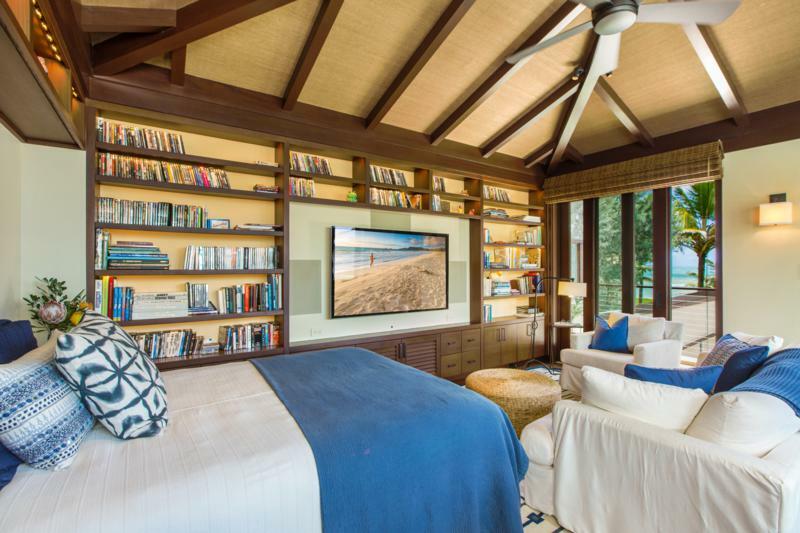 Room by room, breezes flow freely through the open floor plan where the living, kitchen, dining and family rooms have a natural connected flow. 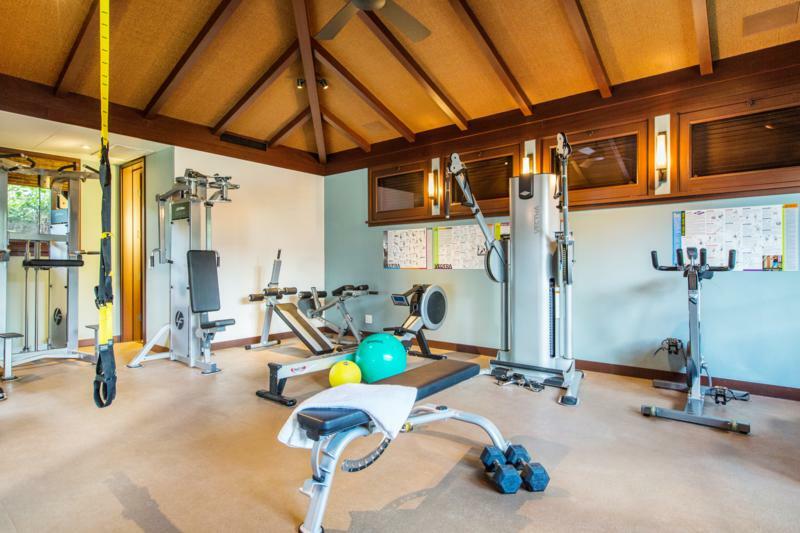 Additional rooms include a beachside yoga/meditation room, a private office and an air-conditioned gym. 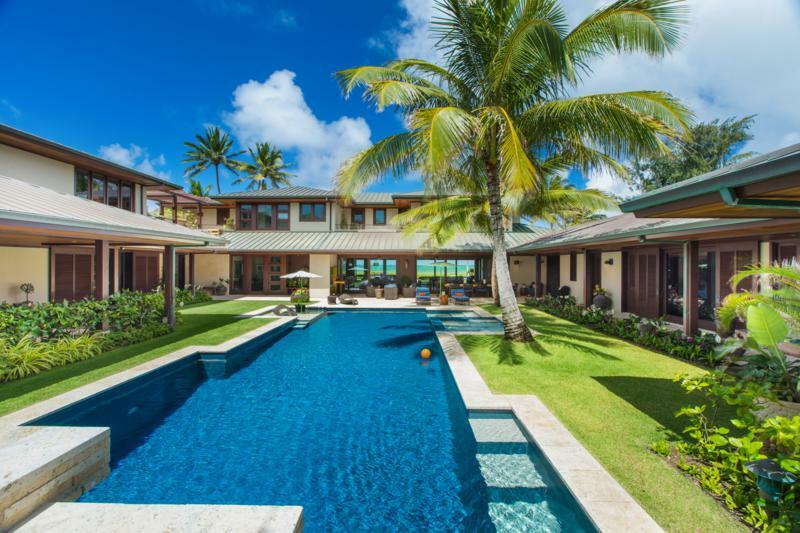 Two outdoor beachside lounges and two poolside lounges each provide their own unique view and relaxing setting. 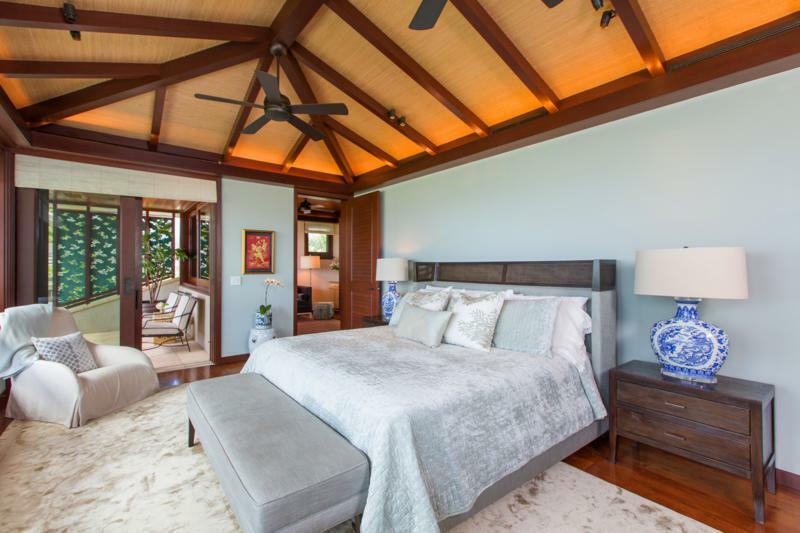 Geared to promoting peaceful well-being, it is the combination of these private enclaves that form the essence of the home’s intimate and luxurious setting. 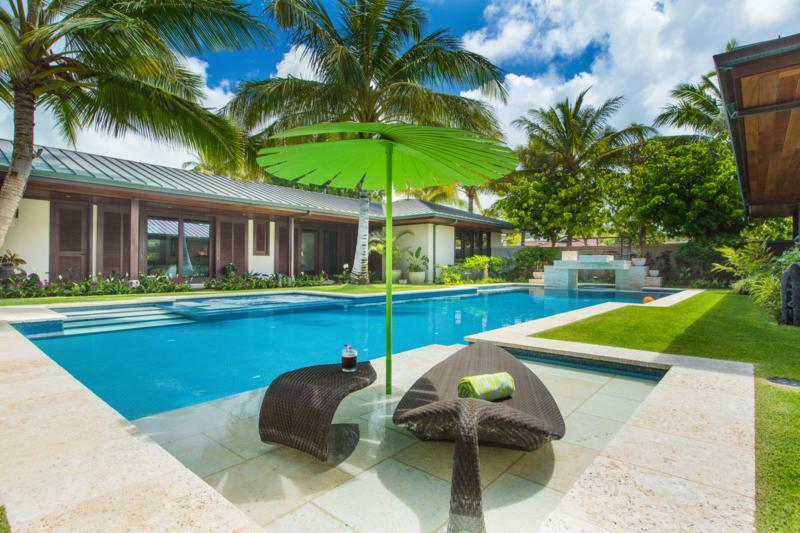 Essence of Kailua is a home you’d expect, but so much more. 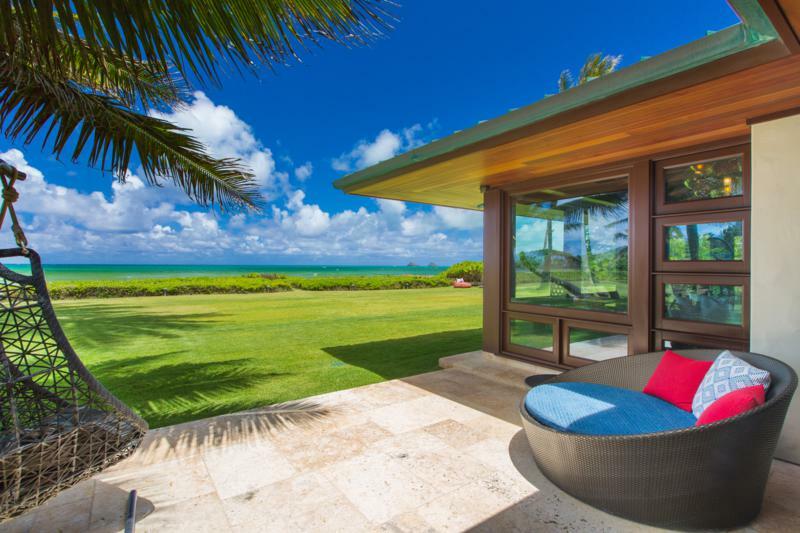 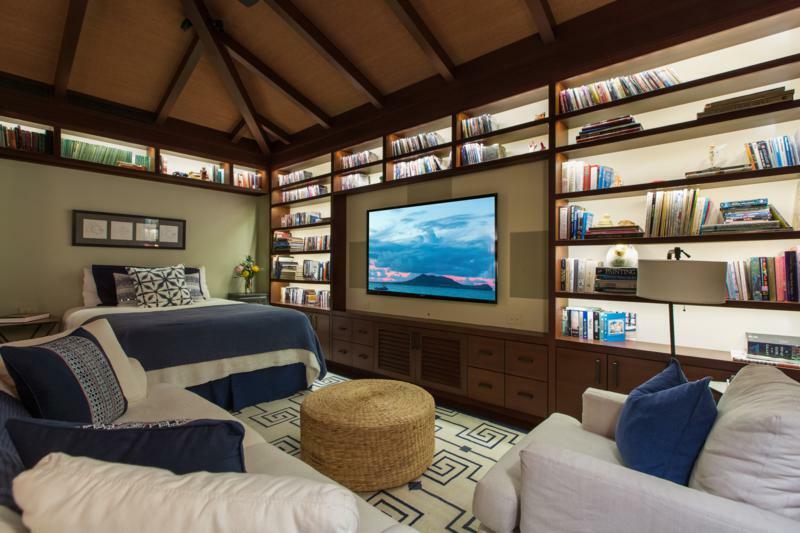 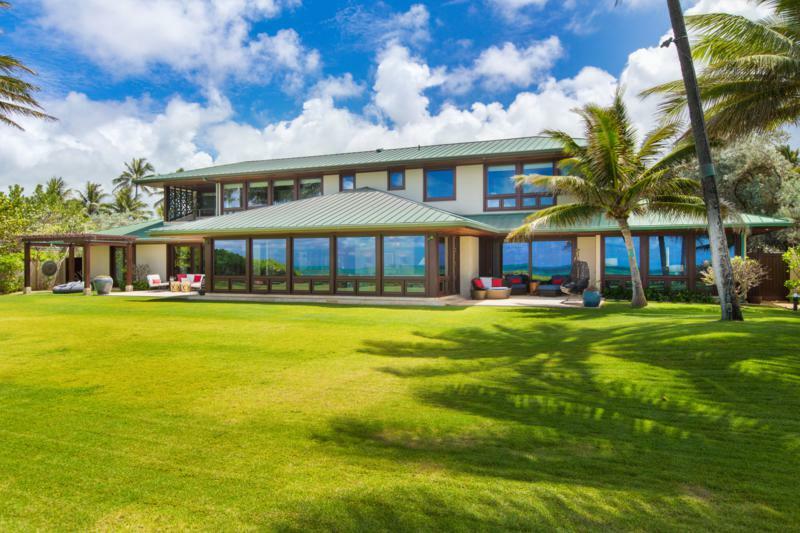 The design reflects the simplicity of a traditional Hawaiian beach home and supercharges it with the finest luxuries and cutting edge efficiencies to create a sleek and modern “Hawaiian Smart Home”. 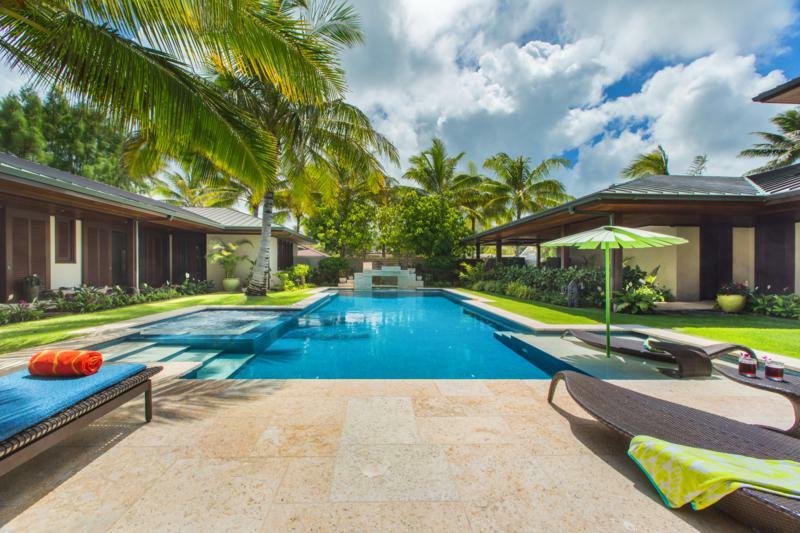 Here, beauty is found in tradition, comfort is found in luxury and enjoyment is found where pristine white sand beaches and sparkling waters are just steps away. 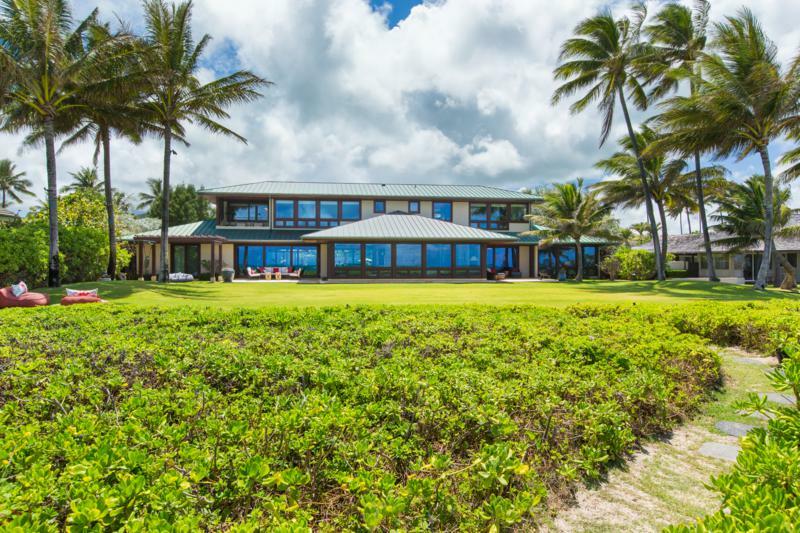 Let the native Naupaka bushes lead you as they crawl towards the shore. 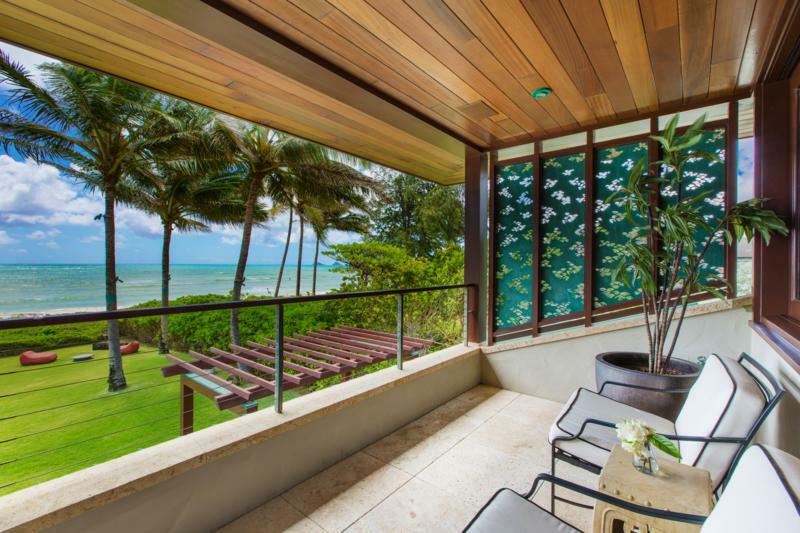 Down the private pathway starts 2 miles of crescent white sand beach where the neighborhood surf spot, Castles, lies straight out front. 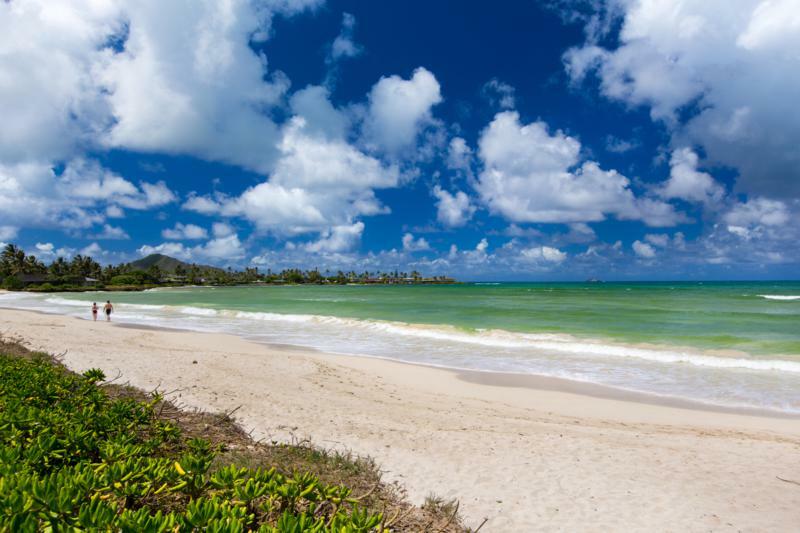 Cradled by turquoise waters that blend into sunny skies, Kailua Beach offers a picturesque and safe environment unlike any other. 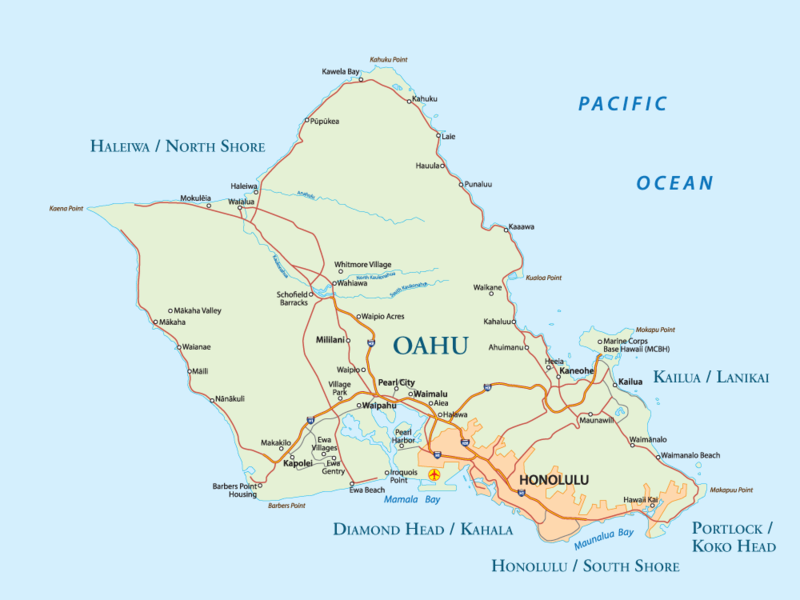 Where distant islands and puffy white clouds are framed by swaying palm trees and where one cannot help but be thankful to live in such a paradise. 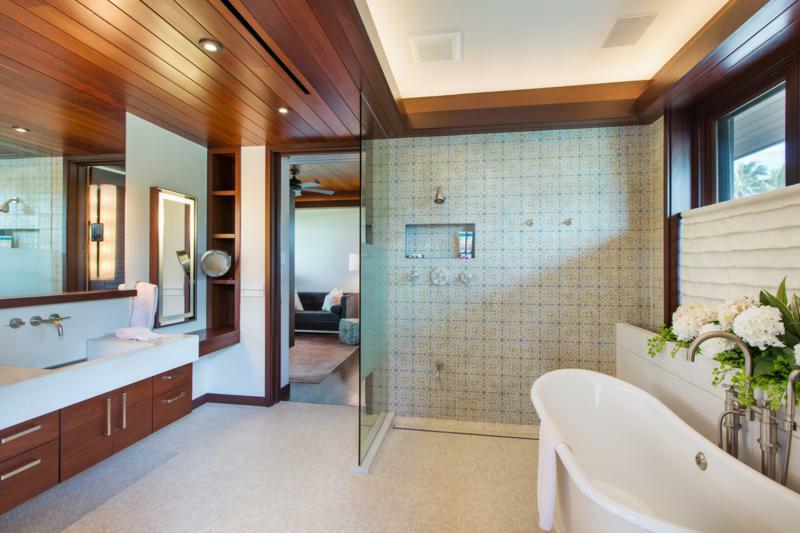 A 7th Bedroom / Bathroom is available upon request for an extra nightly cost. 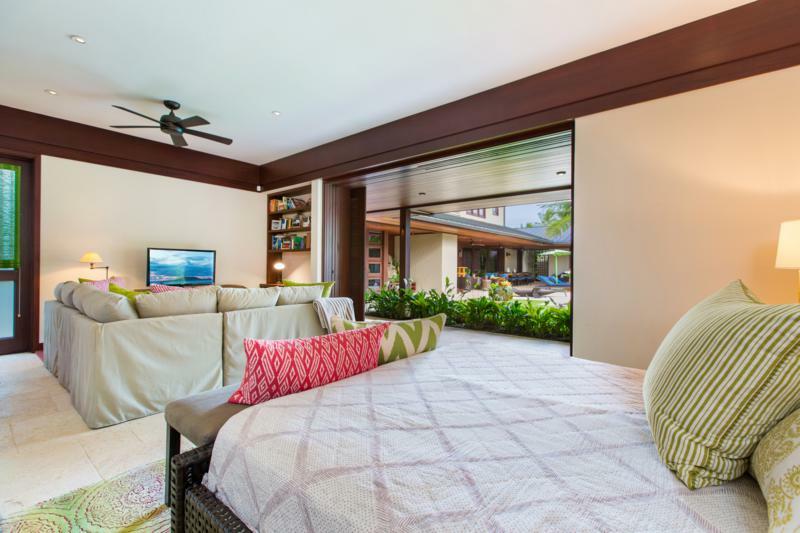 The 7th Bedroom has a King Bed, Sitting Area, Kitchen, Walk-In Closet, Ensuite Bathroom with Shower and a Pool View.